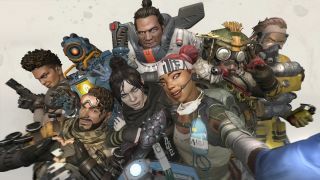 Over on the Apex Legends subreddit, Respawn have posted their latest "check-in". It notes a few things they're looking at, but the most interesting is that using Easy-Anti-Cheat has led to over 355,000 cheaters being banned on PC. "The service works but the fight against cheaters is an ongoing war that we’ll need to continue to adapt to and be very vigilant about fighting", they write. "We take cheating very seriously and care deeply about the health of Apex Legends for all players." They're scaling up the anti-cheat team, and also planning to add a report feature that will go directly to Easy-Anti-Cheat. Apparently Respawn are also aware of the issue of spammers during character select and then disconnecting, and are working on a solution. One more thing of note, Respawn will be working with AMD next week to address stability and performance. "In the next client patch on PC we will be addressing some of the known crashes,"they write, "but there will still be work to do as we haven’t nailed down all crashes yet."